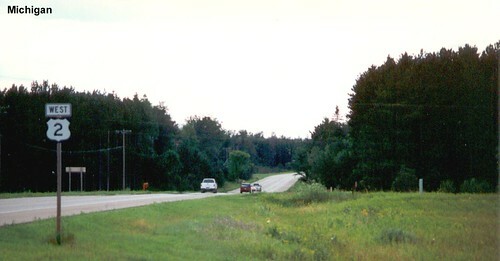 The western section of US 2 begins at I-75 in St. Ignace. 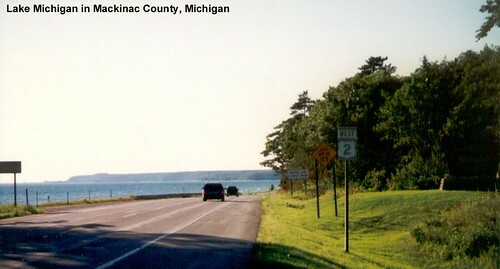 We see Lake Michigan to our left as we head west on US 2. 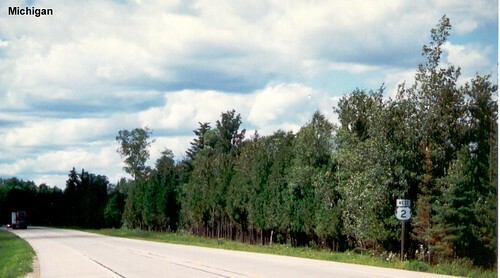 US 2 in Schoolcraft County. Riding through the forests of Michigan's Upper Peninsula. Another look at the UP.